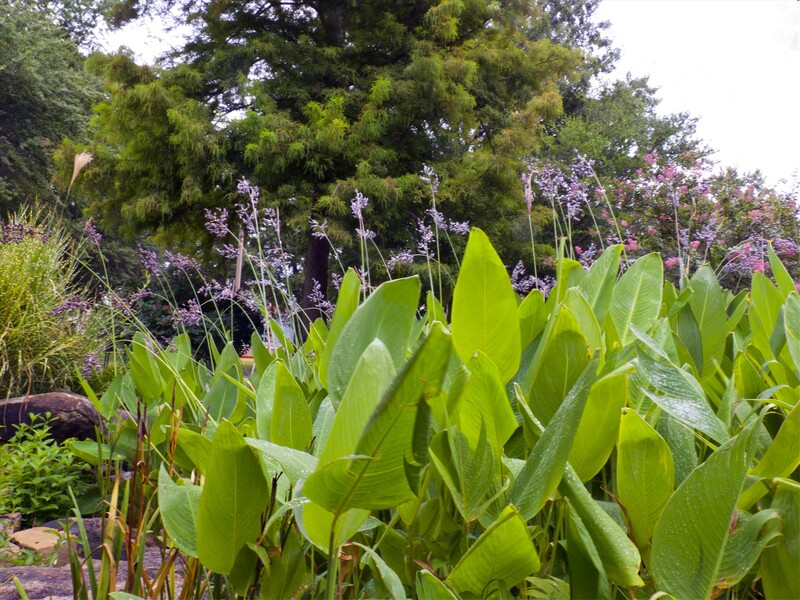 One of the Southeast’s most spectacular wildflowers is on display in a small Pulaski County Master Gardener landscape on the south side of the Arkansas Arts Center in Little Rock: powdery thalia, Thalia dealbata, a native of Arkansas wetlands in the Mississippi Delta region as well as southwest Arkansas. In the Southeast, powdery thalia occurs on the Coastal Plain from South Carolina to Texas and Oklahoma and in the Mississippi Alluvial Plain north to southern Illinois. It is the northernmost representative of a tropical American genus comprising about 7 species and the only representative of the Arrowroot Family, Marantaceae, in Arkansas. The species is also called powdery alligator-flag. Plants are truly spectacular. 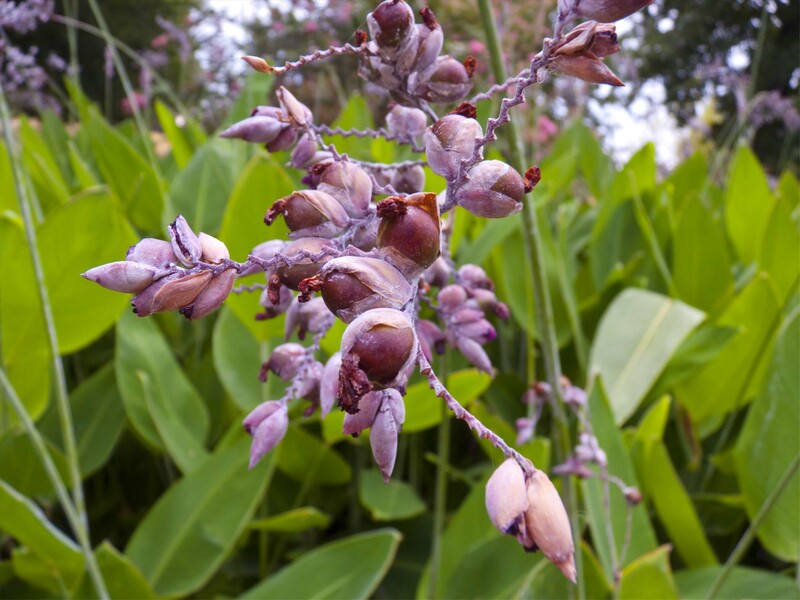 They can rise to 6-7 feet out of the water, with leaves 1-2 feet long and a showy cluster of purple flowers at the top. Plants are cultivated worldwide–they were introduced into Europe in 1791–in frost-free areas; in the Temperate Zone, they can be grown in large underwater pots. Arkansas plant hunting in the heat of summer can be hard to do. The Master Gardeners have provided an opportunity to enjoy powdery thalia in its glory–and then dash into the air conditioned Arts Center for lunch at Best Impressions Restaurant perhaps followed by a botanical tour of the museum’s florals. By the way, Pulaski County Master Gardeners are taking applications for the fall training until July 27th. If you are interested in becoming a Master Gardener in Pulaski County, call Beth Phelps, Pulaski County Extension Agent, phone (501) 340-6650. If you don’t live in Pulaski County, contact your county extension agent for more information. Click here for more information on the Master Gardener program. 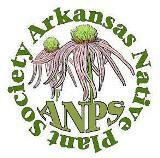 This entry was posted in Native Plants, Plant Alert, Wildflowers and tagged Arkansas Arts Center, Marantaceae, Master Gardener, powdery thalia, Thalia, Thalia dealbata. Bookmark the permalink.